Moved carb to back without spacer and it dose not fit under hood. hi hilux i saw a video of you driving and took a look at your build log. I was hoping you mite have some advice your car looks fast in the video. how do you like 20r in a 442? 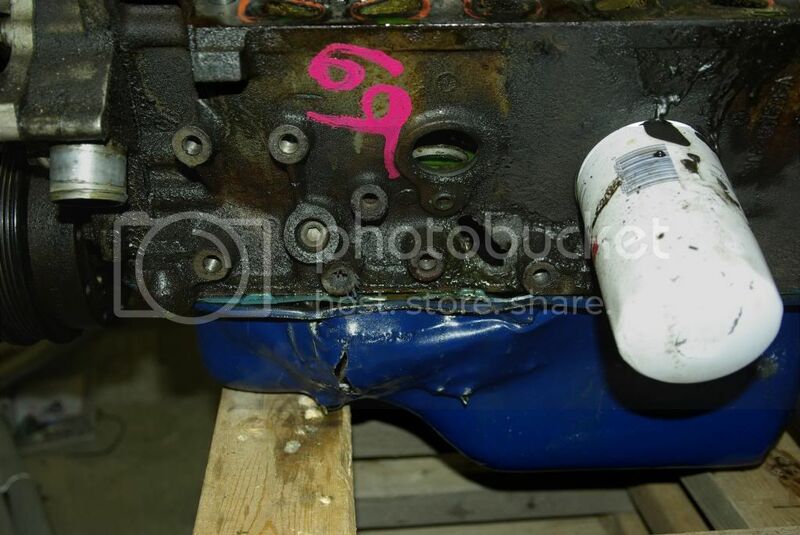 i think yours was stock rebuilt 20r would you add more power? My 20R is a stock bottom end, weber 38DGES, Comp 268 cam, some port matching and my giant header. Stock, they are rated at 96 HP and 120 lb-ft of torque at 4800rpm. Mine will pull past 5500 now (havent been brave enough to go higher...yet). I cannot overpower the 10" wide tires on the rear on dry pavement, which means I really can use all the power under the hood. The only thing i would really do differently (at this point) is pony up for a 9lb LCE flywheel. With this light of a car, it only makes sense. We can debate torque vs hp or muscle car vs sports car ad infinitum, but mine was built as a street car mainly for back roads like you saw in the video, as such, more torque is beneficial. I'm not advocating a diesel engine here, but the 20R in stock form had 20%+ more torque than the 4AG at 4800 RPM, mainly because of the displacement advantage. Thanks hilux it is grate to hear you get full power to dry pavement with your speed parts. That 9lb flywheel is on my list of parts i want. When my 20r was stock with 15w40 oil and over 300,000km it would rev to 6800rpm before valve float started and i did rev it to 6700rpm all the time without damage. I hope that helps you be brave. If you don't rev it up you mite get a ring ridge that could damage rings and pistons when you try full rpm. I like to go up 100rpm a week tell i find the max rpm. looks like i run the 20r. if i get traction and now that 20r fit in the frame i cant see using the 4age. more power more fun. The 20r i have likes to idle at 3200rpm min. The Isky cam i have starts power at 3600rpm and over 8000rpm red line for the rest. When i find new red line i well let you know. Why limit it? What if you want a bit more? My limiter is my right foot and if i want a soft limiter i add a insole to right shoe. When i find new red line i well let you know. Why limit it? How are you going to determine the new red line? Dyno the motor and see where the power drops off? Valve bounce? Or when a rod comes through the side of the block? I vote rod through the block and then back it off a touch. At least that's how I did it. Ok my last post was after a long day spent in the pub. I do see why others want a limiter. I well be using a dyno to find peek power rpm for shifting. I well have a shift lite. as for finding my red line that is rpm when cam over heats. 20r has a problem with the way cams exhaust lobes get oil at high rpm. I well go up 100rpm a week tell cam gets hot. With H beam rods i don't think it well throw a rod before it melts the cams exhaust lobes. I have seen some cam oil upgrades but have not done them yet. Jeez, even with cams my little 4age idles around 1200. Mind you the cams are not real radical, I think 272.
site bin down can i post? Last edited by TimR on March 31, 2017, 3:17 am, edited 1 time in total. cant post picks well update when I can is it me or site?